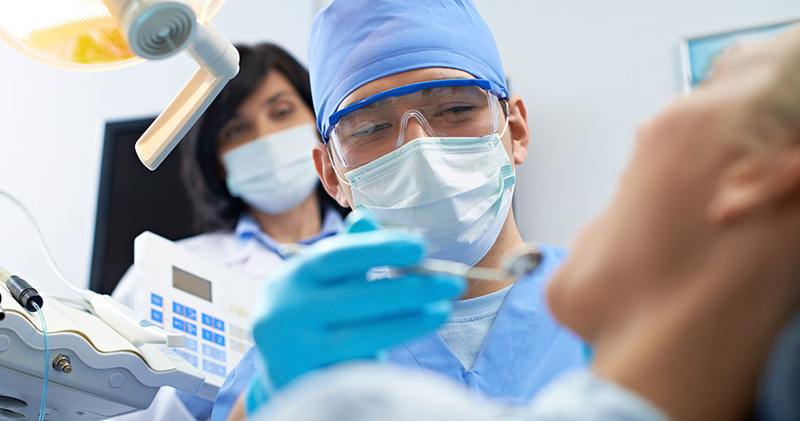 Oral and Maxillofacial Surgery provides a full range of services including treatment of facial fractures and other injuries, facial and jaw infections, cysts, and tumors as well as removal of infected, malpositioned and impacted teeth. Oral surgery is provided for patients with cardiac disease or other medical problems, and for those with atrophic jaws who are unable to wear dentures. Dental implants and general preprosthetic surgery are also provided. Other services include evaluation and management of temporomandibular joint disorders, orofacial pain problems, oral cancer diagnosis, acquired and developmental craniofacial and jaw problems leading to malocclusion and facial deformity and aesthetic problems related to oral and maxillofacial surgery.